Applications / Rejected Applicants / Rejected Application, Must Read ! If you have found your application moved to this section, it means that the command staff decided to unfortunately deny your request to join the academy. You will find the reasons stated in a reply on your application by a Command Staff member. If you have got more unclear parts you may contact us for further explanation. Do not let being rejected disappoint you instead it must help you to improve yourself more. Before reporting someone you should firstly read the following rules and obey them otherwise your complaint may not be considered. Before reporting a firefighter+ try to firstly talk with him and tell him what wrong he did, he maybe right or maybe wrong, we are humans and we do mistakes, so before posting your report here try to talk with him in PM. Administration matters shouldn't be reported here, If you have anything related to administration report to them through Argonath forums, also forward a PM to the chief about the incident. You must follow the report format, or the report shall not be considered. No flaming, no provocation comments, you must report for an actual reason. If you have anything against the chief, you should forward that to the court of the law. Avoid Personal reports, If you have anything personnel deal with it in PM. 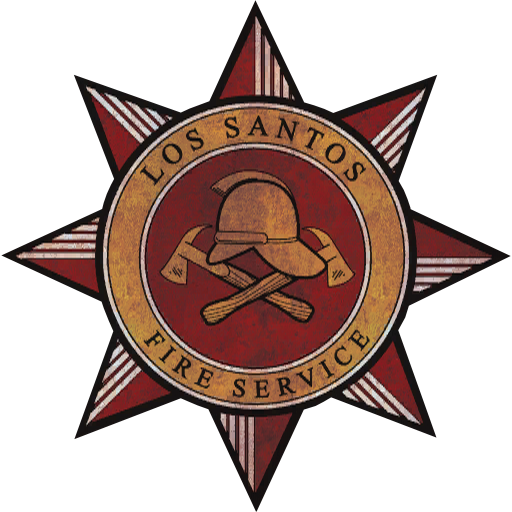 Los Santos Fire Department is looking for dedicated citizens to work for the public safety and disaster management and joining ranks of the most respected and responsible career in the Los Santos. Becoming a part of us for a heroic and noble cause won't let you down. Become a part of it by applying the form below. You must be a legal citizen of United States of Argonath. You must be playing on server for at least 2 weeks. You must possess valid Passport and Driving License. Having long punishment history doesn't reflect good on your image. If you have any recent punishment history (less than 1 month), then you must have clear explanation about it when asked by the LSFD command staff. Use the codes while communicating with others. Have patience and do not bother any LSFD staff about your application, it will only lead to more delay or rejection. It has been very long since the department released an announcement. All citizens of Liberty City haven't heard anything interesting from the department since it had a new leadership. You are wondering what's going on and what happened with it? Then you are in the right place to know what happened. Since the department had new leadership which was at the end of year 2018, the department went into a huge maintenance and development. We were not sleeping in that period, we were working on our department to get it back on track as an effective government organization. We invented new systems, implemented new ideas and suggestions for a better and a safe environment for our citizens. 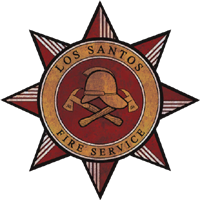 Creation of three new public, independent divisions (Stations) from each other within the Liberty City Fire Department. + Fire and Rescue Division. + Fire Prevention and Investigations. ☆ Those divisions are not recognized yet, a public court case will be made very soon to get recognized. + Academy Division : Responsible for academy for all divisions of the department. + Public Relations Office : For public notifications, messages and for receiving public feedbacks. + Internal Affairs Division : Handling Complaints, and watching performance of firefighters and plus, to ensure they are working upon the regulations, procedures of the department. - We are sad to announce that former Chief Dwayne Johnson has resigned from the department for inactivity and real life issues. + On other side, we are glad to announce that Dread Anguilo has been promoted to Chief. Congratulations! + Mac Tylor has been promoted to Deputy Chief. + CarlosKolta was invited into the department to take a Commander Rank of Station-1(Fire and Rescue Division) for a trial period, but due to department protocol he should pass his academy phase first. - Dimos Resigned from the department. + Procedures and Radio Codes were added for the department personnel. +Recruitment system, and information were updated. + A new rule was added upon a discussion with Emergency Medical Services Command Staff, from now on you are allowed to apply for FDLC and EMS at the same time. + Firefighters Trainings are currently on progress, we will host free trainings for fire volunteers soon. + Firefighters Awards will not be awarded to only firefighters + but also to volunteers and citizens. Here we will provide a small and short summary about this new system which will be explained in details in the upcoming court case. This system aims to have a better and safe environment and aims to decrease rate of injuries in emergency situations. The system is about providing all public, crowded and important places such as museums, hospitals, police stations, City hall, court hall, gas stations,..etc..
Those equipments will be provided by our firefighters of Station-3 (Fire Prevention and Investigations) for free. For now, that's more than enough for this system, stay tuned for the upcoming court case for more information and other changes we took. At the end, we would like to remind everyone that the department is still seeking for members and leaders for those divisions if you feel ready to help us, apply now! We would like to hear your feedbacks, ideas or suggestions to implement for a better future! Deputy Chief Of Fire Department. We regret to inform you that your application has been rejected. If you wish to reapply, you may do so in one week's time. Please take this time to overview the Academy information and laws enforced by both the ARFD and ARPD, and become more active and familiar with the career of firefighting. We apologize, and hope to see your new application soon! Applicant has been banned from the server, lack of interest towards the department. I left the SAPD Duty, So now i can Work in the FD as much as i want.